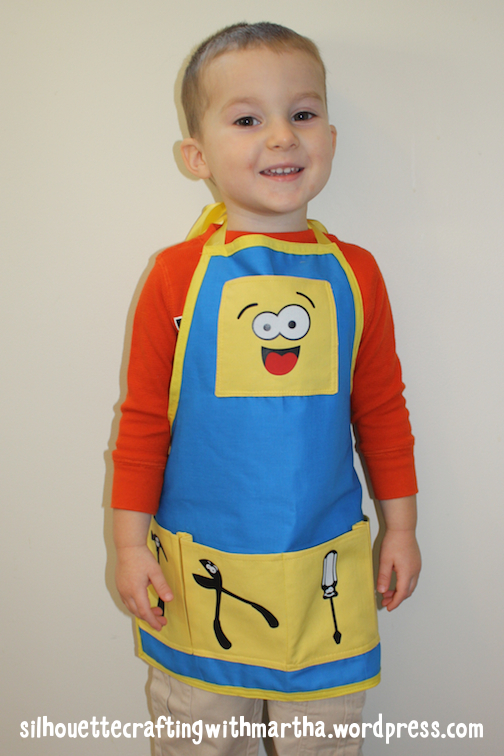 About a year ago, I reconnected with my sewing machine and since then, I have made some pretty cute projects-mostly for my kids, no surprise there! Today’s Silhouette project is no exception. 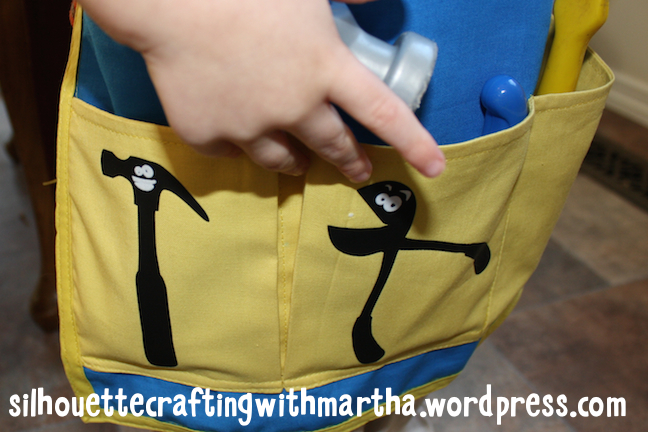 This cute Kid’s Tool Apron was an easy project to whip up with my sewing machine and my Silhouette CAMEO. I added a few extra pockets for tool storage. To make the row of pockets, I added an accordion fold between each pocket so that the pockets were roomy for the bulky tools. Add a good 5″ of extra fabric to make the accordion fold. Here’s another close up of the accordion pockets. Note that I didn’t place an accordion between the middle pockets. The designs were cut out of heat transfer material (HTM) using my Silhouette CAMEO. 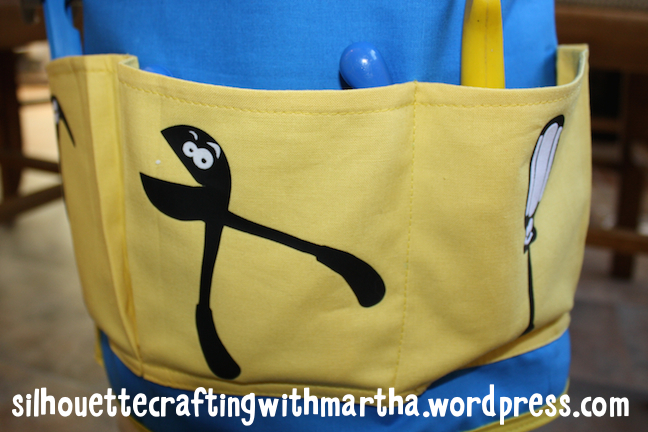 Once weeded with the handy Silhouette hook, the designs were simply ironed onto the apron. Because I used multiple layers of HTM, I found it best to do a quick press for the first layer, just enough so that the HTM released from the plastic backing, and then a final full press once all layers were in place. 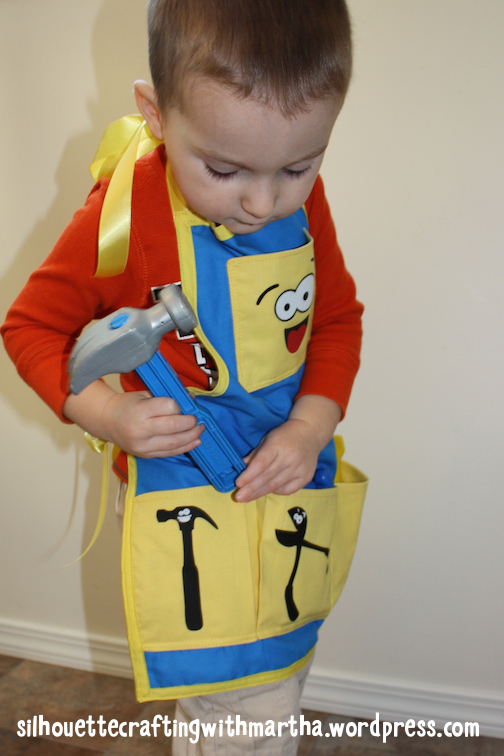 My son immediately matched his tools to the corresponding pictures! I am very happy with how the tool apron turned out and I sure hope that the recipient loves it as much as I loved making it for him!